Performing under the stadium lights at Independence High School on Nov. 3, the CVHS Marching Band and Guard got the highest score in CVHS history with a 75.80 and marched into third place at the Western Band Association (WBA) competition. Unfortunately, the marching band was unable to compete in its final competition at James Logan High School due to vast amounts of smoke from the Camp Fire. Five other competitions throughout California were cancelled due to bad air quality as well. The band members were disappointed, however they maintained high spirits from the accomplishments they had made during their season. “I’m really happy with the progress the band and guard has made this season. We’re so new to all of this, it’s impressive how much they have grown year over year,” said band director Steven Hendee. To make up for the lost competition, the CVHS band attempted to host a program on Nov. 14 that featured “Orbit,” the band’s 2018 show. This event, too, was cancelled because of the smoke and poor air quality. 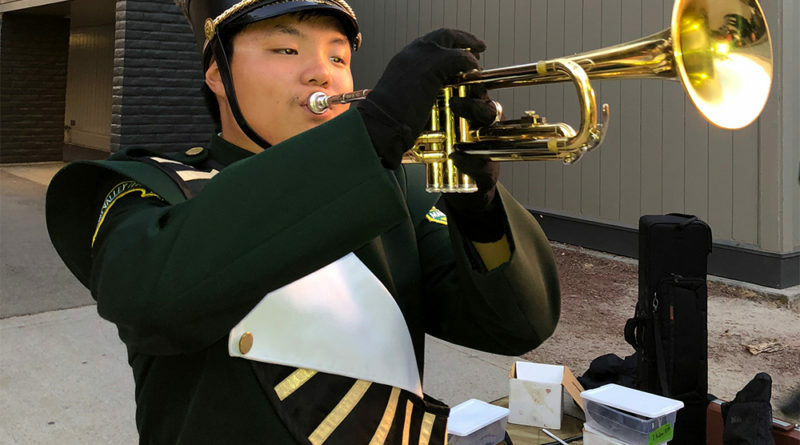 Band members shared thoughts and heartfelt goodbyes during their last performance, but they also kept hope for success in the marching seasons in years to come. “Our most recent competition has marked a new breakthrough for the marching band and guard. The sheer focus and drive that everyone has was incredible and I felt truly honored to be a part of it. I really look forward to what the future brings. We are truly out of this world,” woodwind captain Isabella Siu told The Olympian. Competitions may be over but you can still catch the marching band performances during parades and private shows for the rest of their 2018-19 year. The future holds many great things for this band, and students will continue to work hard and aspire for vast achievements in coming years.